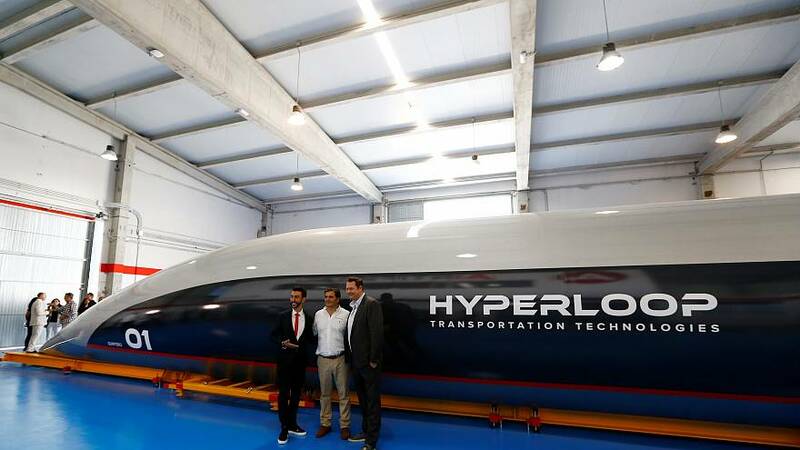 The world's first full-sized Hyperloop passenger capsule has been unveiled in Spain giving those in attendance a glimpse of the future. 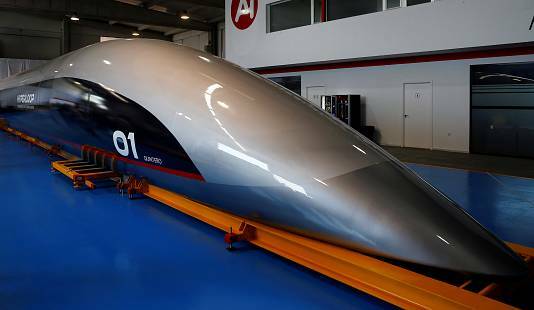 California based company Hyperloop Transportation Technologies (Hyperloop TT) revealed the slimline capsule, which can reach speeds of 1,220 kilometres per hour. The high-tech transportation would allow a trip from Barcelona to Madrid to be trimmed to just 25 minutes. The "Quintero One" capsule measures 32 metres and weighs 5,000 tonnes. Although constructed in southern Spain, the pods will be making their way to Toulouse, France to be further assembled before being put onto commercial tracks. Speaking about the technology, co-founder and CEO of Hyperloop TT, Dirk Ahlborn explained: "So, imagine a capsule filled with people or freight, similar to an airplane fuselage without wings, hovering inside a tube and moving really, really fast from one point to the other." "Quintero One" took around 21,000 skilled engineering hours to construct. The pods levitate and are powered by electricity and magnetism along low-friction pipes. Hyperloop TT has upcoming plans to build a 10-kilometre Hyperloop system between Abu Dhabi and Dubai after the company signed a deal this April, with similar contracts in Ukraine and China. Canadian company TransPod set up a testing facility in France this year and aims to create a similar enterprise in Italy. The Hyperloop concept involving levitating pods powered by electricity and magnetism was proposed by Tesla co-founder Elon Musk in 2013. Why wouldn't you want a screen on your hat or handbag?